When I die nobody will ever know more of me than now. 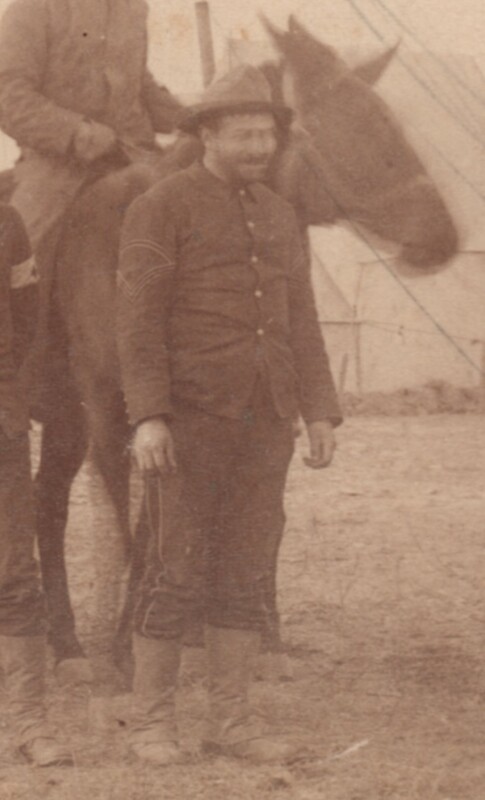 (Click to enlarge) Photograph believed to be of Sergeant Major Richard W. Corwine, 7th U.S. Cavalry, at Pine Ridge, 1890, prior to Wounded Knee. Photograph courtesy of Joy Skinner. On November 27, 1868, on the Washita River, the 7th Cavalry Regiment’s sergeant major, Walter P. Kennedy, was killed in action along with Major Joel H. Elliott and seventeen soldiers. On June 25, 1876, at the Little Big Horn River, again the regiment’s sergeant major, William H. Sharrow, was killed in action along with Lieutenant Colonel George A. Custer and over 200 troopers. On December 29, 1890, along the Wounded Knee Creek, Richard W. Corwine became the third sergeant major of the 7th Cavalry to be killed in action during the Regiment’s numerous Indian Wars campaigns. When Colonel Forsyth directed that the Indian camp be searched for weapons, Major Whitside dispatched two search parties. Apparently several other troopers also entered the Indian camp. The Regiment’s Sergeant Major, R. W. Corwine, was still in the village when hostilities broke out at the council circle. His body was found in the Indian camp; likely he was killed during the initial volleys by the Indians, who many of the soldiers indicated were firing in that direction until they broke through K Troop. It is doubtful that the Sergeant Major would have remained in the Indian camp once the firing commenced if he were not incapacitated. It is also plausible that he was wounded at the initial volley and unable to escape the village, ultimately being killed once the Artillery fired on the escaping Indians that were fleeing through the village or seeking concealment in the tepees. Without knowing the extent of Corwine’s wounds, it is impossible to establish when or how he was killed. He had served in the regiment for two decades and at forty-six, was the oldest soldier killed during the campaign. Apparently Sergeant Major Corwine’s personal life was a mystery not only to his fellow cavalrymen, but to the numerous pressmen recording the events of the campaign. The following article appeared in The Evening Star, in the Nation’s capital several weeks after the senior non-commissioned officer’s death. One of those little mysteries which are so numerous in this world of ours–a mystery which will probably remain so until the resurrection morning–closed its activity coeval with the departure of life from the body of him who was known as Richard W. Corwin, sergeant major of the seventh cavalry. For more than twenty years Corwin had been one of the best soldiers in his regiment, yet none of his comrades could ever find out where he came from or who he was. The probabilities are that his real name was not Corwin, but no one knows what it was. He always said, when pressed on the matter: “When I die nobody will ever know more of me than now.” He spoke truthfully, dying at the battle of Wounded Knee without a word. A number of persons have written to the officers of the seventh, making inquiry as to Corwin, but none of the description given resemble him in any way. He was a fine-looking fellow and about forty-five years of age. (Click to enlarge) Final Statement of Richard W. Corwine, Sergeant Major of the Seventh Regiment of Cavalry. Richard Winick Corwine was born on July 19, 1844, at Maysville, Mason County, Kentucky, the fourth of five sons of William Houghton and Amanda (Brooks) Corwine. His father, William, was born June 13, 1795, in Mason County, the son of Amos and Sarah (Houghton) Corwine. William was a veteran of the War of 1812 having served as a corporal in Poage’s 3d Mounted Regiment of Kentucky Volunteers. On October 10, 1833, at Mason County William married Amanda, daughter of Zadock and Elizabeth (Ricketts) Brooks. William became a member of the Baptist Church in 1828 and was elected Elder of the Church in Maysville in 1835. In 1850 William was working as a fifty-four-year-old carpenter. His wife, Amanda, died the previous year on July 16, and her mother was living with the family. He owned one slave and with the help of his mother-in-law, was raising five boys, two daughters having died in childhood. William remarried in 1850 to Mary Ann Brooks, his previous wife’s sister, but the fifty-seven-year-old passed away within two years on September 19, 1852, after a two-year battle with consumption. His second wife, Mrs. Mary Ann Corwine, survived him by seven years raising her nephews-turned-step-sons until she died of typhoid fever in October 1859. William and Amanda had seven children all born in Mason County, Kentucky. The eldest, Aaron Houghton, was born July 11, 1834, and died November 16, 1874, in Algiers, Orleans, Louisiana, at the age of forty. He was married on March 15, 1873, to Emily Virginia Rose, but their brief life together produced no offspring. The Corwine’s second child was a girl, Sarah E., born October 23, 1836, and she lived less than a year dying on September 23, 1837. William Allen was their third child, born September 18, 1838; he died October 5, 1859, a few weeks after his twenty-first birthday. Their fourth child, John Brooks, was born July 1, 1841, and died January 3, 1910, at New London, Ralls, Missouri, at the age of sixty-nine. John married on November 5, 1863, Martha Maria Goode and served as Pastor of the New London Christian Church for thirteen years. They had nine Corwine children—William and Amanda’s only grandchildren—including Harry Ballinger (1864-1905), Edward Lawton (1869-1948), Arthur Leigh (1874-1934), Herbert James (1876-1952), Homer Davis (1876-1953), Jewell Brooks (1884-1937), and Mary Miner (1887-1970). William and Amanda had a second daughter, Zeralda, born May 26, 1843; she was not living with the family in 1850 and likely died young. Although, one genealogical source indicates Zeralda may have married a gentleman named E. Lawton or D. Hawkins. The fourth Corwine son, Richard Winick—the subject of this article—never married, living the life of an enlisted cavalry trooper for twenty years before finding his resting place in Fiddlers Green at the age of forty-six along a creek called Wounded Knee on December 29, 1890. Amos Brooks, William and Amanda’s youngest child, was born September 25, 1847, and died of sun stroke on August 4, 1875, in Sweet Water, Texas, at the age of twenty-seven while serving with the 19th Infantry Regiment. He, like his older brother, Richard, never married and chose the hard life of an enlisted soldier on the western frontier. After the death of their father in 1852, and step-mother-aunt in 1859, the boys were likely on their own. Richard’s eldest brother, Aaron, may have taken on the role of raising his younger brothers and by 1860 was working in St Louis, Missouri, as a steamboat engineer. According to a draft registration in 1863, nineteen-year-old Richard was living on the corner of Pine Street and Jefferson Avenue in that city working as a clerk. He enlisted the following year still at St Louis, for thirty days on June 1, 1864, in Company D, 1st Missouri Infantry regiment. He was mustered out on July 1, and enlisted again the following month in Company I, 41st Missouri Infantry Regiment at Benton Barracks, St Louis. His enlistment oath listed him as a merchant from Maysville, Kentucky, with black eyes, sandy hair, a light complexion who stood five feet, five inches in height. He quickly earned his stripes and in less than a month was the company first sergeant, but just as quickly was reduced to second sergeant on October 12, 1864. He ran into further trouble in early 1865 and was reduced to the rank of Private following a general court martial. He finished out his inglorious Civil War service still at Benton Barracks when he was mustered out on July 11, 1865, at St Louis. In 1870, Richard was working as a dry goods clerk and was living with his older brother, John, and his wife, Mattie, in Illiopolis, Illinois. John and Richard’s younger brother, Amos, was also living with them and working as a confectioner. Perhaps seeing little future working as a clerk, on May 29, 1871, Richard again turned to the military enlisting at St Louis for a five-year period this time with Company A of the 7th Cavalry. Corwine’s assignment to A Company likely brought him back to his native state where Captain Samuel Robbins was commanding the unit at Elizabethtown. By the end of 1871 Robbins was facing a court martial for drunkenness and cohabitation, charges that eventually forced him from the Army, and Company A came under the command of First Lieutenant Algernon Smith. Eventually Myles Moylan was promoted to captain and assigned as the A Company commander, with Smith as his first lieutenant and Charles Varnum as his second lieutenant. In 1874, Corwine saw service with A Company on the Black Hills expedition under the officership of Moylan and Varnum. Corwine finished his first five-year enlistment at the rank of sergeant. At the end of May 1876 at Fort Abraham Lincoln in the Dakota Territory and still with A Company, Corwine enlisted for another five-year period. The June 1876 monthly return for Fort A. Lincoln lists him as joining the post. Apparently, because of the timing of his enlistment at the end of May, he did not go with his company on the 1876 expedition that culminated at the Little Big Horn. Still under the command of Captain Moylan, A Company was spared the fate of the troops with Lieutenant Colonel Custer, but did not come out unscathed. Moylan lost his first sergeant, a corporal, and six privates killed in the valley fight with another corporal dying of wounds in the hilltop fight under Major Marcus Reno’s command. Because of his break in service during the regiment’s critical month of June, Corwine lost his sergeant’s stripes and was made a corporal, filling a vacancy when James Dalious was killed in the valley fight. As a member of A Company in 1877 Corwine likely saw action on the Nez Perce campaign that culminated with Captain Moylan leading his company in a charge at Snake Creek during the Battle of Bear Paw. Corwine enlisted again for another five years in 1881 while at Fort Meade still in the Dakota Territory. He made his final five-year enlistment in 1886 while serving at Fort Buford, Dakota Territory, this time with the 7th Cavalry Regimental Band. He was listed as a Private on the register of enlistment in 1886, but obviously earned his stripes again prior to the Sioux Campaign of 1890. I understood that the Sergeant-major, the hospital Steward and the Quartermaster Sergeant, were in the village, they did not have my authority to be there, and Colonel Forsyth stated that they had no such authority. Two of these non-commissioned officers were killed and one was wounded in or about the tepees. No one had authority to be there except the searching party. 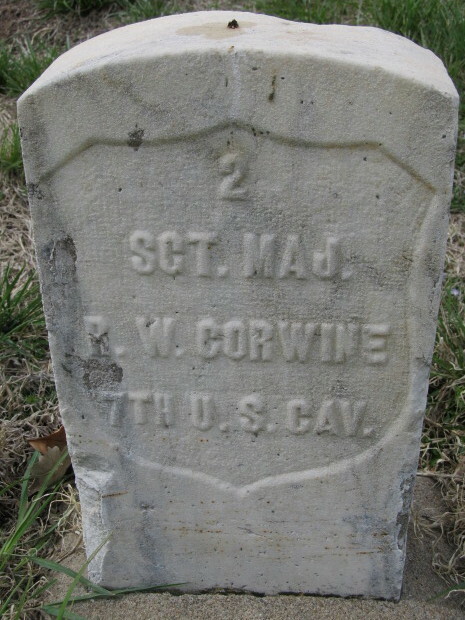 Sergeant Major Corwine was initially buried at Pine Ridge Agency but was later disinterred in 1906 and reburied at the Fort Riley Post Cemetery along with twenty-nine other soldiers killed at Wounded Knee. He was preceded in death by his parents, his step-mother and aunt, his grandmother, three of his brothers, and two sisters. He was survived by his brother and sister-in-law, John and Mattie Corwine, and their children—his six nephews and one niece—and two grand nephews and a grand niece. Sergeant Major Richard W. Corwine is buried in the Fort Riley Post Cemetery. Albert Barnitz, Jennie Barnitz, ed. by Robert M. Utley, Life in Custer’s Cavalry: Diaries and Letters of Albert and Jennie Barnitz 1867-1868, (University of Nebraska Press, 1987), 230; John S. Gray, ed. by Robert M. Utley, Custer’s Last Campaign: Mitch Boyer and the Little Bighorn Reconstructed, (University of Nebraska Press: 1993), 260. H. A. Ogden, illist., cropped from lithograph “1888 Enlisted Men (General Wear, Fatigue &c.),” Illustrations of the Uniform of the Army of the United States, No. 1 to 44, 1774-1889, copyright 1895. Associated Press, “Pine Ridge Sketches,” The Evening Star, Washington, D. C., January 24, 1891, page 13. Seventh Census of the United States, 1850, Census Place: Maysville, Mason, Kentucky; Roll: M432_212, Page: 50B, Image: 442; William Kimbrough Pendleton and A. W. Campbell, eds., The Millennial Harbinger, Series IV, Vol. III, (Bethany: A. Campbell, 1853), 58-59. Sixth Census of the United States, 1840, Census Place: Maysville Ward 1, Mason, Kentucky; Roll: 119; Page: 30, Image: 65; Seventh Census of the United States, 1850, Census Place: Maysville, Mason, Kentucky; Roll: M432_212, Page: 50B, Image: 442; Jackson, Ron V., Accelerated Indexing Systems, comp., Kentucky Census, 1810-90 [database on-line], (Provo: Ancestry.com Operations Inc, 1999); Ancestry.com, Kentucky, Death Records, 1852-1953 [database on-line], (Provo: Ancestry.com Operations Inc, 2007); NARA, Index to the Compiled Military Service Records for the Volunteer Soldiers Who Served During the War of 1812, (Washington, D.C.: National Archives and Records Administration), M602, roll 46. National Archives and Records Administration (NARA), Washington, D.C.; Consolidated Lists of Civil War Draft Registration Records (Provost Marshal General’s Bureau; Consolidated Enrollment Lists, 1863-1865), Record Group: 110, Records of the Provost Marshal General’s Bureau (Civil War), Collection Name: Consolidated Enrollment Lists, 1863-1865 (Civil War Union Draft Records), ARC Identifier: 4213514, Archive Volume Number: 3 of 10; National Park Service, U.S. Civil War Soldiers, 1861-1865 [database on-line], (Provo: Ancestry.com Operations Inc, 2007); NARA, Carded Records Showing Military Service of Soldiers Who Fought in Volunteer Organizations During the American Civil War, compiled 1890 – 1912, documenting the period 1861 – 1866; Catalog ID: 300398; Record Group #: 94; Roll #: 385. Ancestry.com, 1870 United States Federal Census [database on-line], (Provo: Ancestry.com Operations, Inc., 2009), Year: 1870, Census Place: Illiopolis, Sangamon, Illinois; Roll: M593_281, Page: 192A, Image: 388; Family History Library Film: 545780; Register of Enlistments in the U.S. Army, 1798-1914, (National Archives Microfilm Publication M233, 81 rolls), Records of the Adjutant General’s Office, 1780’s-1917, Record Group 94, National Archives, Washington, D.C.
 National Archives and Records Administration (NARA); Washington, D.C.; Returns from U.S. Military Posts, 1800-1916; Microfilm Serial: M617; Microfilm Roll: 345. 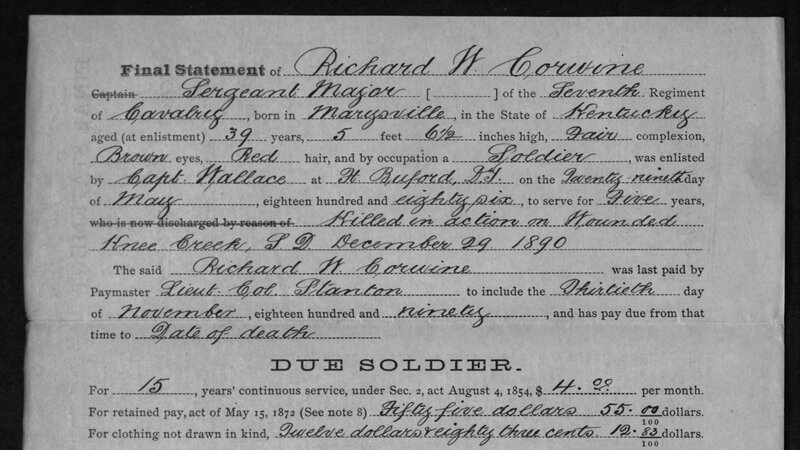 Register of Enlistments in the U.S. Army, 1798-1914, (National Archives Microfilm Publication M233, 81 rolls), Records of the Adjutant General’s Office, 1780’s-1917, Record Group 94, National Archives, Washington, D.C.; Ronald H. Nichols, In Custer’s Shadow: Major Marcus Reno, (Norman: University of Oklahoma Press, 1999), 383-384. Register of Enlistments in the U.S. Army, 1798-1914, (National Archives Microfilm Publication M233, 81 rolls), Records of the Adjutant General’s Office, 1780’s-1917, Record Group 94, National Archives, Washington, D.C; John Doerner, Friends of Bear Paw, Big Hole & Canyon Creek Battlefields, Historical Review, http://www.friendsnezpercebattlefields.org/7th-cavalry-in-the-nez-perce-war.htm accessed 6 August 2013. National Archives Microfilm Publications, “Reports and Correspondence Related to the Army Investigations of the Battle at Wounded Knee and to the Sioux Campaign of 1890–1891.” (Washington: The National Archives and Records Service, General Services Administration, 1975), 661 – 662. NARA, Burial Registers of Military Posts and National Cemeteries, compiled ca. 1862-ca. 196o, Archive Number: 44778151, Series: A1 627; Record Group Title: Records of the Office of the Quartermaster General, 1774-1985, Record Group Number: 92. Lisa A. Osbourn, photo., “Richard Winick Corwine,” FindAGrave, http://www.findagrave.com/cgi-bin/fg.cgi?page=gr&GRid=71500017 accessed 19 Jan 2014. Citation for this article: Samuel L. Russell, “Sergeant Major Richard W. Corwine, 7th Cavalry Regiment, Killed in Action,” Army at Wounded Knee ( Sumter, SC: Russell Martial Research, 2013-2015, http://wp.me/p3NoJy-F), last updated 31 May 2014, accessed date __________. This entry was posted in Casualties, Enlisted and tagged 7th Cavalry, 7th Cavalry Regiment (United States), Big Foot, Cavalry, Corwine, Fort Riley, Killed in Action, Little Bighorn River, Sergeant Major, Wounded Knee, Wounded Knee Creek, Wounded Knee Massacre. Bookmark the permalink. Hi Sam, Like the blog, all good stuff and meticulously researched. Have you seen http://www.menwithcuster.com ? It covers UK born soldiers of the 7th Cav in 1876. 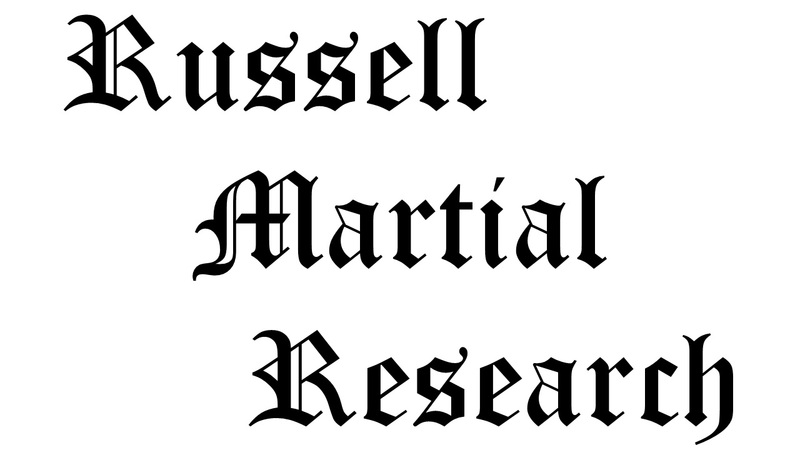 The site’s author is also a Russell, but Peter Russell, a friend of mine and a long standing Custer researcher. Geoff… Thank you for taking the time to comment and hope you find this and future posts of value. I have not seen that site, but will definitely look into it.